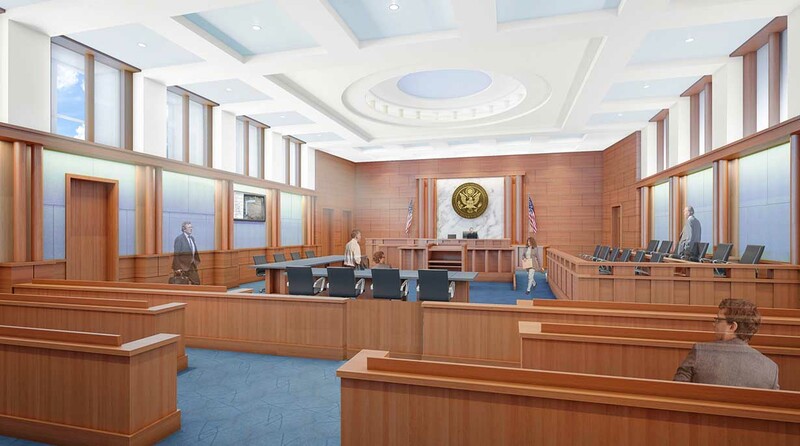 Civic architecture with the stature of a U.S Courthouse is charged with communicating the dignity and stability of its purpose and the openness and transparency of government while providing high levels of security. The primary façade of the Fred D. Thompson Federal Building and U.S. 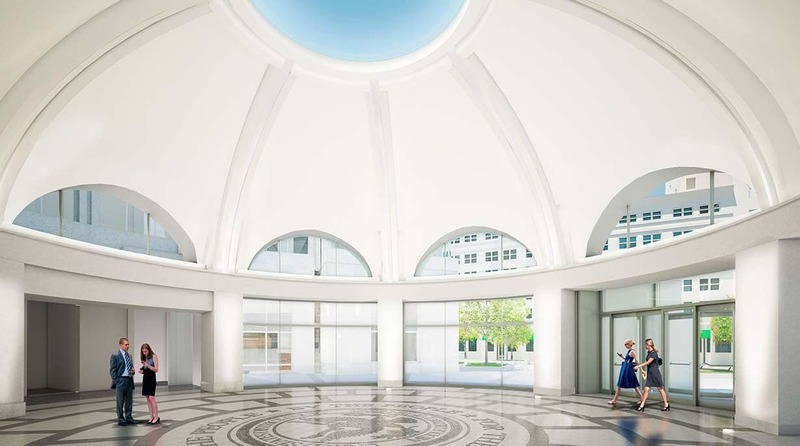 Courthouse, a grand apsidal curved wall with the entry rotunda at its center, creates a welcoming gesture and signals importance. The curve reveals a public passageway, visible from the street, that leads to the building’s six District Courts and two Magistrate Courts. 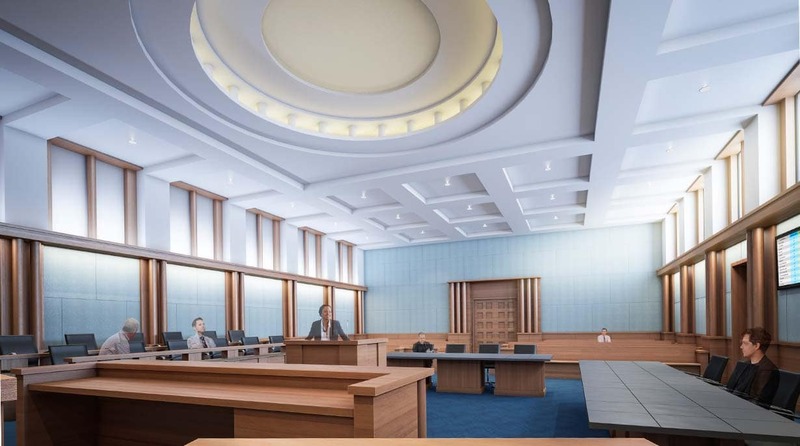 The two flanking towers contain the jury suites, celebrating the important role that the public plays in the judicial process. The new Federal Building and U.S. 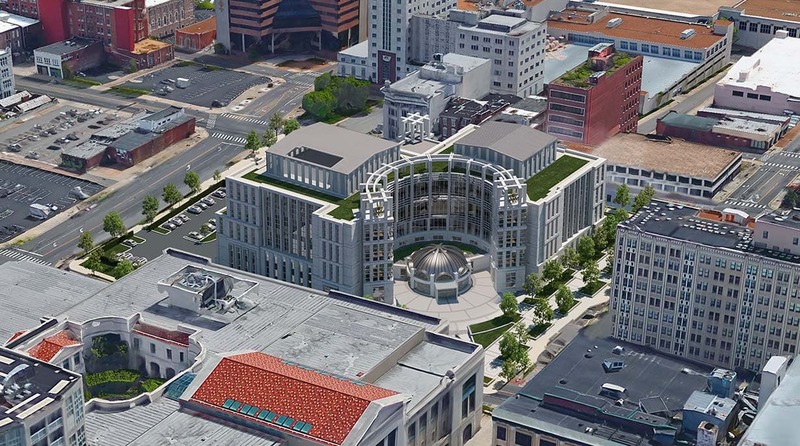 Courthouse occupies an important urban site in Nashville’s rapidly revitalized downtown. Its design, a blend of classical and contemporary character, connects past and future. 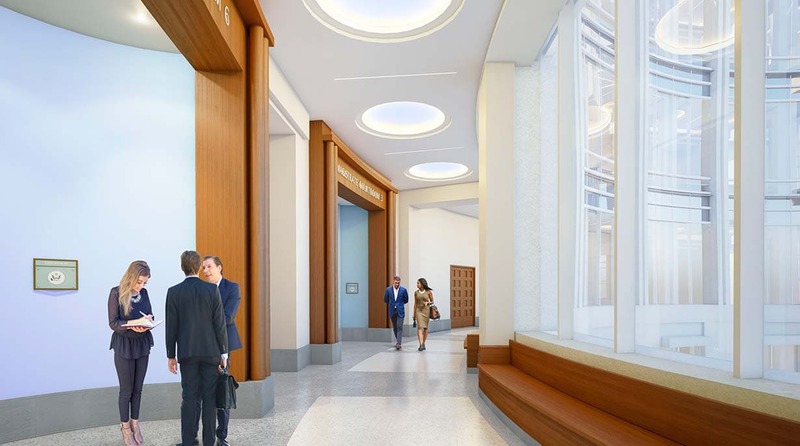 While the all-white building stands out as a stately and elevated institution in the context, its landscaped courtyard and future art installation relate it to the pedestrian experience of its Church Street frontage. The mandatory security standoff zone is integrated seamlessly into the landscape to enhance the public experience of the city.